New teeth, new Diplomats album, and new season of "Love & Hip Hop: New York" on deck. 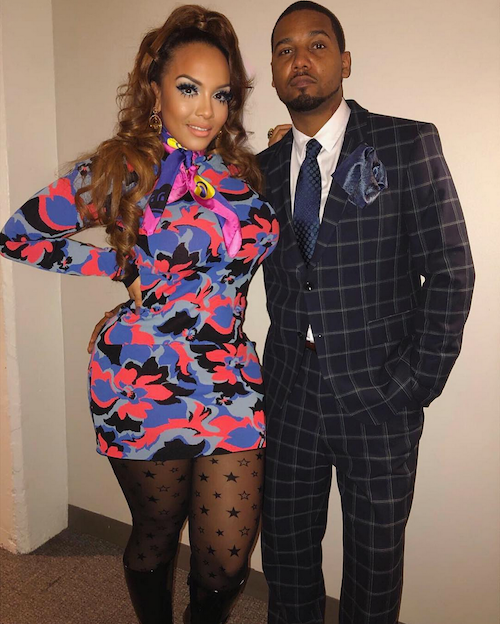 All the newness must have triggered rapper Juelz Santana to finally pop the question to girlfriend of 10 years, Kimbella. Or maybe it's the 20 year prison bid he's facing that triggered him. 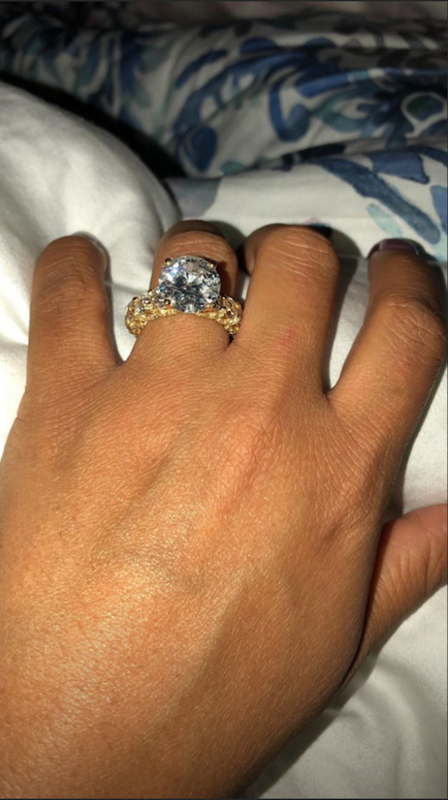 Kimbella is over the moon today, now that she's gotten the ring she's wanted so badly for years. 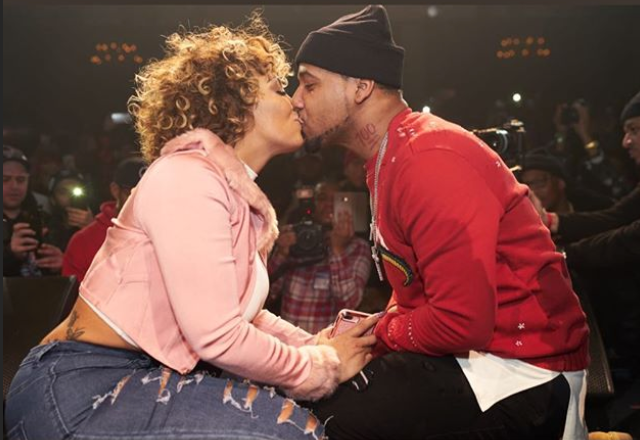 Juelz Santana stopped his show last night to get down on one knee and ask the mother of two of his kids to be his wife. Oh. Glad he eventually figured out which hand to put the ring on. They've been through a lot as a couple. A.LOT. Yet, Kimbella stuck by him through 10 years of no relationship progression, two kids, arrests, several seasons of "Love & Hip Hop" and more. Juelz himself said while proposing that he loves her for "putting up with his 10 years of bullsh*t" and for holding him down. He didn't say anything about changing who he is. Apparently, she proved her wifely worthiness by being "put through hell". Kimbella and Juelz were just allowed by the judge to live together as part of Juelz's conditions while he's out on bond in his criminal case. He was ordered to house arrest at his mother's house, but the judge made an order that he could live with Kimbella, and must wear an ankle monitor, while out on $500,000 bond. Juelz plead guilty to possession of a firearm by a convicted felon, along with carrying a weapon on aircraft, back in August. He was hemmed up by TSA when he tried to bring a gun (that he claims he forgot he had in his possession) on a plane earlier this year. He's scheduled for sentencing on December 12th. Sometimes, facing up to 20 years in prison makes somebody get their ish together. Or it makes them do some selfish ish like making sure their woman rides out that bid with them. Either way, Juelz got the right one in Kimbella, because she seems more than happy to wait it out and put up with his sh*t.
Good night, literally, What a night to remember! Pretty ring. We hope it's worth it, sis.